On May 19th, the star-studded evening of the 23rd amfAR gala at Cannes Film Festival and was presented by Harry Winston and Bold Films. The disco themed event took place at the the Hôtel du Cap-Eden-Roc in Antibes, France, and featured unique and one of a kind auction pieces, memorable speeches, and legendary performances all while raising $25 Million for HIV/AIDS research. Since the event’s start in 1993 with Elizabeth Taylor as chair, the gala has raised over $170 Million in funds. Since then the board has seen many stars and currently includes; Adrien Brody, Carine Roitfeld, Harvey Weinstein, Heidi Klum, Kevin Spacey amfAR Global Fundraising Chairman Milutin Gatsby, Len Blavatnik, Michel Litvak, Vincent Roberti, and amfAR Chairman of the Board Kenneth Cole. The red carpet was filled with A-List celebrities who brought out their most gorgeous gowns, and wowed everyone in attendance. Stars such as Katy Perry, Elle Fanning, and Kirsten Dunst came in with some of the most memorable looks of the night. Kevin Spacey hosted the event and stayed in character the entire evening, doing impressions of Johnny Carson, Bill Clinton, Jack Lemmon and Al Pacino and got political by mocking presidential candidate Donald Trump. He later auctioned himself off, to spend a whole day with in DC, a tennis match, and a walk on role in the hit show “House of Cards”. Academy Award Winner Leonardo DiCaprio put up a weeks stay for twelve guests at his Palm Springs home. The experience was sold twice, first at $350,000 and after a quick decision by DiCaprio it was put up again and sold for $150,000. 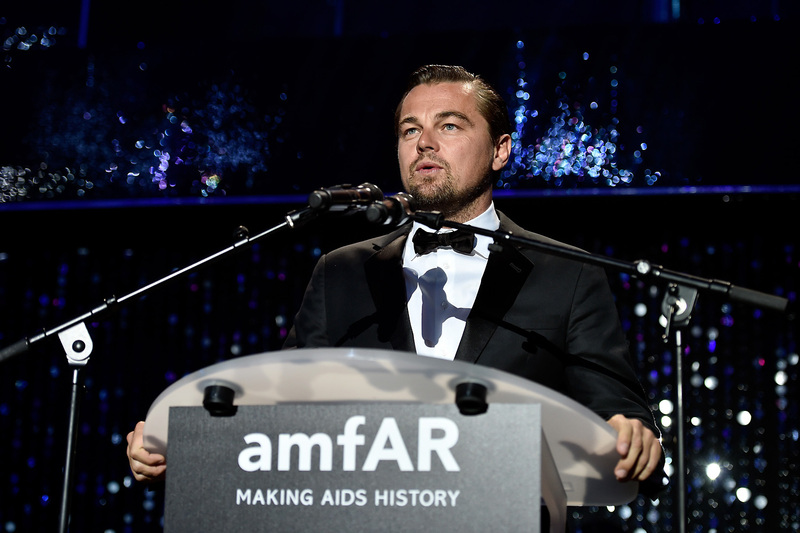 Leo also gave a passionate speech on the efforts of raising awareness and funds for HIV/AIDS research, and honored Milutin Gatsby, who serves as the amfAR Global Fundraising Chairman. Other stars like actor Adrien Brody followed suite and donated a one of a kind piece of art that was specifically designed for the event. Along with Brody, Helen Mirren introduced five original Andy Warhol prints of Bianca Jagger, Diana Ross, Diane von Furstenberg, Jerry Hall, and Liza Minnelli, which sold for $160,000. Guests enjoyed bidding on an array of exclusive items and experiences during the live auction, conducted by auctioneer Simon de Pury and event producer Andy Boose. Millions of dollars were spent on these unique pieces and several others including a “Wild Carved Panther” by French artist Richard Orlinski which sold for $400,000. The “Volu” dining pavilion designed by world renowned architect Zaha Hadid sold for $1.3 Million. 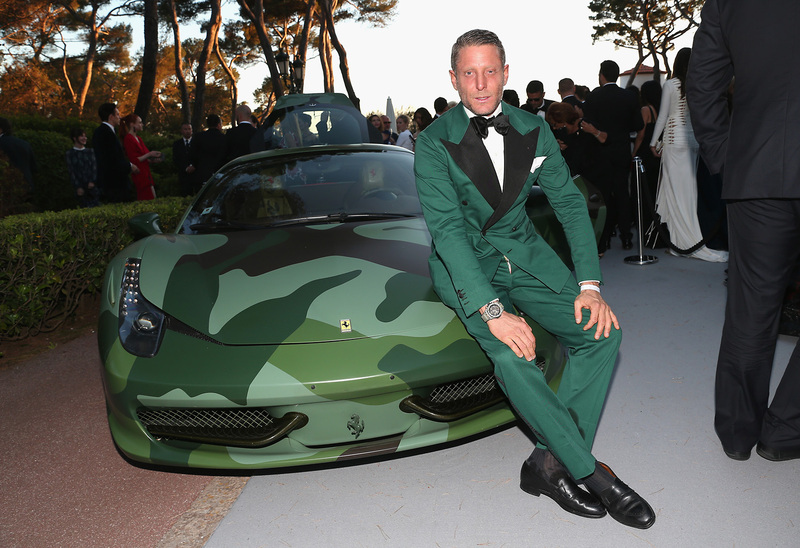 A Harry Winston pear-shaped perfume bottle encrusted with diamonds, sapphires, aquamarines, and rock crystal sold for $400,000 and Lapo Elkann’s custom made Ferrari 458 in Camouflage paint sold for $1.1 Million. A highlight of the auction was the Taschen Private Library designed for the amfAR event featuring four-hundred and fourty-four TASCHEN masterpiece works, which sold for $2.7 Million. 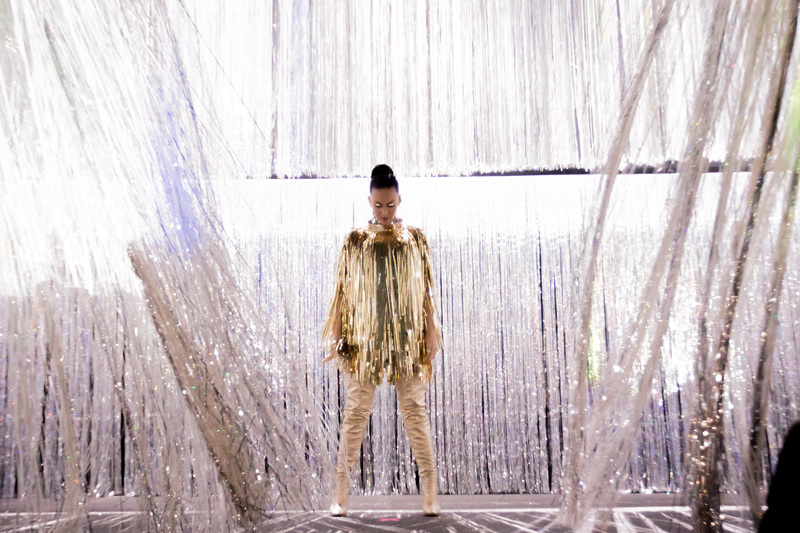 The highlight of the evening was the disco inspired runway show curated by Carine Roitfeld, a long time supporter of the event. Super models donned original pieces created for the event by leading designers from of around the world including; Marc Jacobs, Tom Ford, Chanel, DSquared2, Roberto Cavalli and Prada to name a few. The Disco collection was auctioned subsequently off for $1.7 Million by Uma Thurman. Katy Perry ended the night with top hit after hit from her discography, all in disco-era fashion. She performed some of her top hits, including “Roar,” “Teenage Dream,” “I Kissed a Girl,” “Dark Horse,” and “Firework,” which brought the entire crowd to its feet. The evening also featured extraordinary surprise performances by the Village People, Sister Sledge, and The Bluebell Girls surprised guests, and encouraged the theme of the evening with their respective hits “Y.M.C.A” and “We Are Family”.